So we spent the weekend playing with Time Capsule and we've discovered some interesting answers to all your questions, as well as a few accompanying annoyances. Our main takeaway? 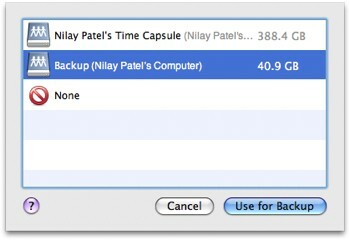 It's a solid product, but you shouldn't expect it to do anything more than back up your files -- and Apple really needs to step up and enable general NAS support for Time Machine. Read on! If you're editing huge files all day long, that could be a problem since Time Machine kicks in every hour (unless you hack it to slow down). If not, though, you probably won't even notice the switch from a local drive to Time Capsule -- we didn't experience any similar slowdowns after that initial backup. No, the big changes are in how Time Machine handles the Time Capsule drive, and the new, refined Airport Utility. So what's the big change in how Time Machine handles Time Capsule drives? Nothing, apart from the fact that it actually sees them. Just like the computer-connected shared drive we've been backing up to for months, Time Machine mounts a sparse disk image from the TC drive, backs up, and unmounts it -- no secret sauce or voodoo involved, as far as we can tell. Since both OS X and Windows see TC drives as regular shared drives, it's even more frustrating that there's no general NAS support in Time Machine -- Airport Extreme owners, in particular, are likely very unhappy, especially since Time Capsule has no problem using external USB storage for backups. We asked Apple about it and got a non-answer; we hope they eventually do the right thing. The just-a-drive nature of Time Capsule also means that it can't do a lot of the things a lot of readers asked about: sure, you can put your iTunes library on it, but it's not a media server, and pointing several computers to the same iTunes library is asking for trouble. Similarly, you can't stream directly to an Apple TV or 360 or whatever -- it just doesn't show up. Disk management options are limited, however: you can erase the drive and change some access settings, and that's about it. You certainly can't partition it or change the formatting or anything. You can enable WAN access if you care to expose all your data to the outside world. Overall, Time Capsule does exactly what Apple told us it would do: make it easier for the vast majority of users to start backing up regularly over their network. 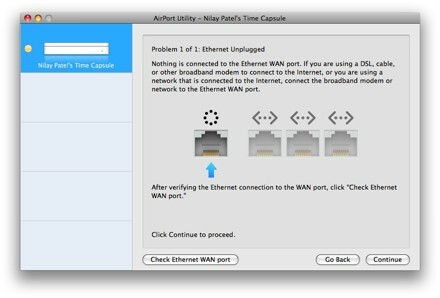 That's to be commended, and if you're a Mac user and you've got the coin, there's no reason not to consider a Time Capsule when the time comes to replace your router -- we've always found Airport devices to be rock-solid, and Time Capsule is no exception. But if you're using a PC, it's not like you need the Time Machine support -- and if you own an Airport Extreme, you have every right to be peeved about the fact that what's essentially the same hardware won't let you back up to AirDisk. Let's hope 10.5.3 makes Time Capsule a little easier to swallow.